Azalea blossoms brighten the spring garden, blooming generously in areas of light shade. But these are truly ornamentals for all seasons, offering rich, green foliage all summer long. Some deciduous varieties explode into shades of yellow and crimson in autumn, while others hold onto green leaves though winter. Although these are low-maintenance shrubs in summer, as the colder season arrives, you’ll have to think about winter care for azaleas. Caring for azaleas in winter is not difficult if you know what to do and when to do it. Preparing azalea shrubs for winter will ensure your plants are hale and hearty when temperatures rise in spring. If you are wondering how to take care of azalea bushes, remember that this type of rhododendron plant is picky about soil. The roots of azaleas are delicate rather than strong, and easily damaged. This means you must work hard to prepare the soil before planting. Excellent drainage is essential when you are learning how to take care of azalea bushes for stronger plants that can withstand winter weather. Drainage is just as important for azalea care in the winter as in the summer. You’ll need to work the soil carefully to remove rocks to a depth of 18 inches and 30 inches wide. The soil must be good quality, loamy topsoil, and acidic, with a pH between 4.5 and 6. Plant in an area with filtered sunlight rather than direct sun or deep shade for best results. Azalea winter care begins in fall, when you should slow down and eventually stop irrigating your plants. Cut back on water by about one-third during the autumn months to toughen the plant for winter, then water thoroughly after the first two or three hard freezes. Soaking the roots at this time hydrates the plant as it goes dormant and protects the plant from drying out when moisture evaporates through the leaves. It provides them with sufficient moisture in the soil to last until spring. If you like to fertilize your azalea, be sure not to fertilize the plant after midsummer because new growth that late in the season is more susceptible to cold damage. Preventing azalea winter damage is also accomplished by spreading 3 to 5 inches of mulch (such as pine needles, wood chips, straw or dry grass) around the plant in preparation for the first hard freeze. Don’t use leaves as mulch unless you chop them first; whole leaves have a tendency to form dense mats that can smother the azalea. Add your mulch around the base of the plant once it is dormant. If you mulch earlier, move the mulch away from the stems in autumn to permit hardening before winter. Additionally, you should leave a ring of unmulched soil directly around the trunk; if mulch mounds against the trunk, it can cause moisture damage and may also attract rodents and insects that will gnaw on the wood. Winter care for azaleas isn’t involved. Just watch the weather report and cover the azalea if temperatures drop below 25 degrees F. (-3 C.), especially if the drop in temperature is sudden or the plant is young. Icy winds and excess sun can damage evergreen azaleas in winter. You’ll see split bark or dried leaves if your plant is injured. If your azalea shows signs of winter damage, you’ll need to provide some protection. To cover the plant, drive stakes in the ground, then drape porous material, like old bed sheets or burlap, over the shrub. 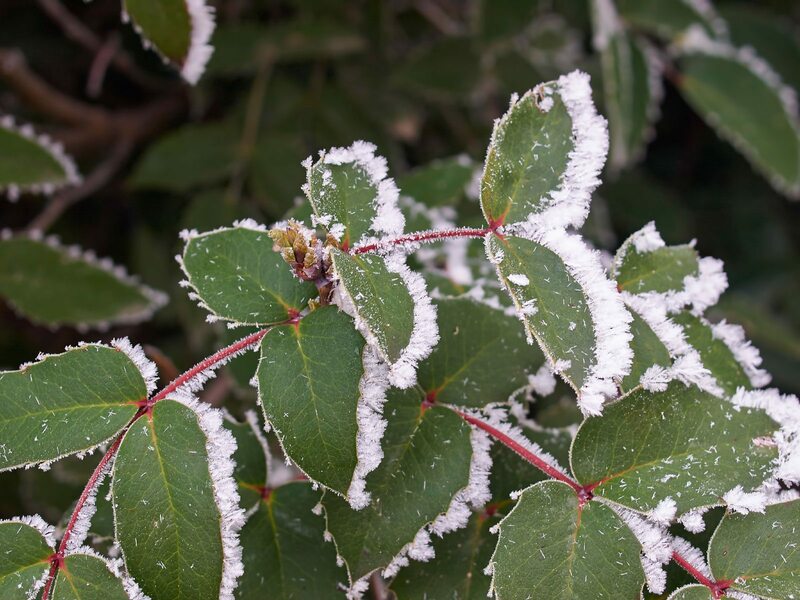 Don’t let the cover touch the foliage and avoid covering the plant with plastic, which can trap moisture that can freeze and damage the plant. If you live in a climate where sub-freezing temperatures are common, it may save a lot of trouble if you install stakes while the ground is still unfrozen. If you are careful to select varieties hardy to your climate and zone, you may not need to offer much azalea care in the winter. And remember that leaf curl on cold days is perfectly normal.